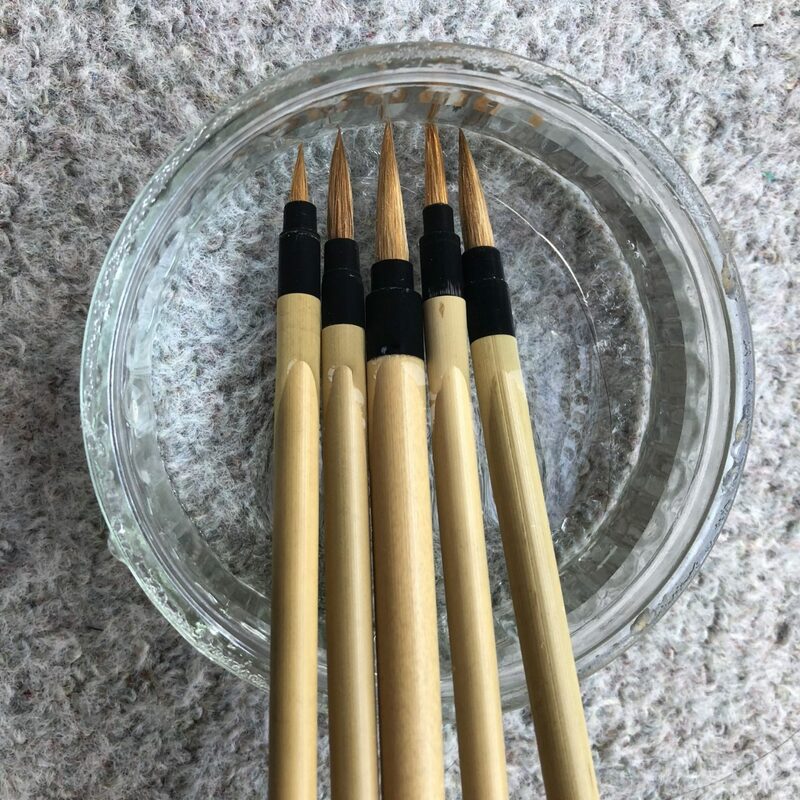 This is a set of very classic and versatile Gongbi painting brushes. 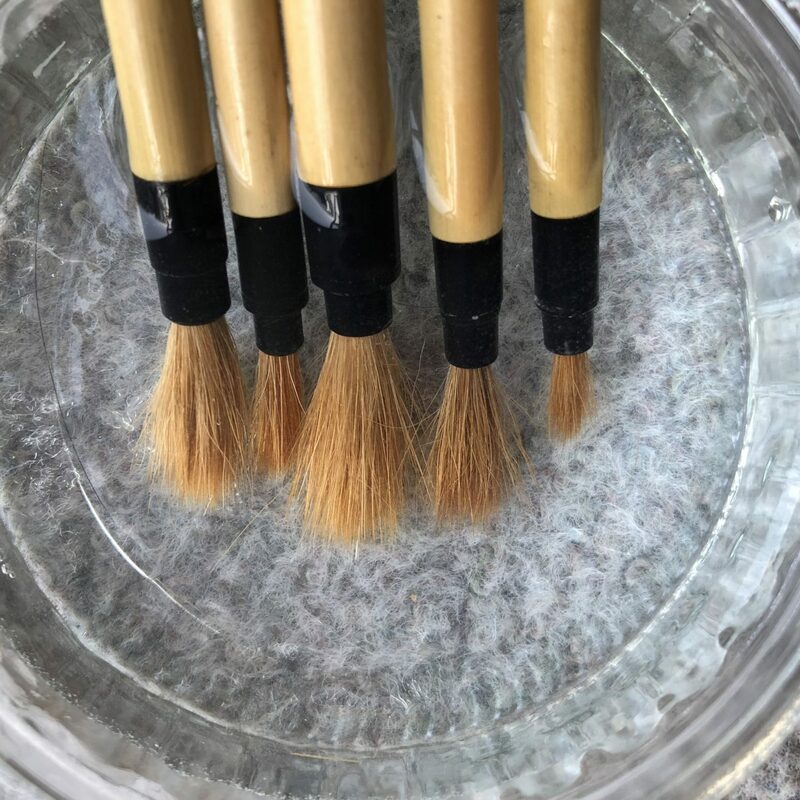 These fine brushes are made with pure weasel hair. They are designed especially for drawing fine lines and small details. Price is for a set of 5 such brushes with different sizes. Inkston also supplies 0903Ws Weasel Hair Gongbi Brush. 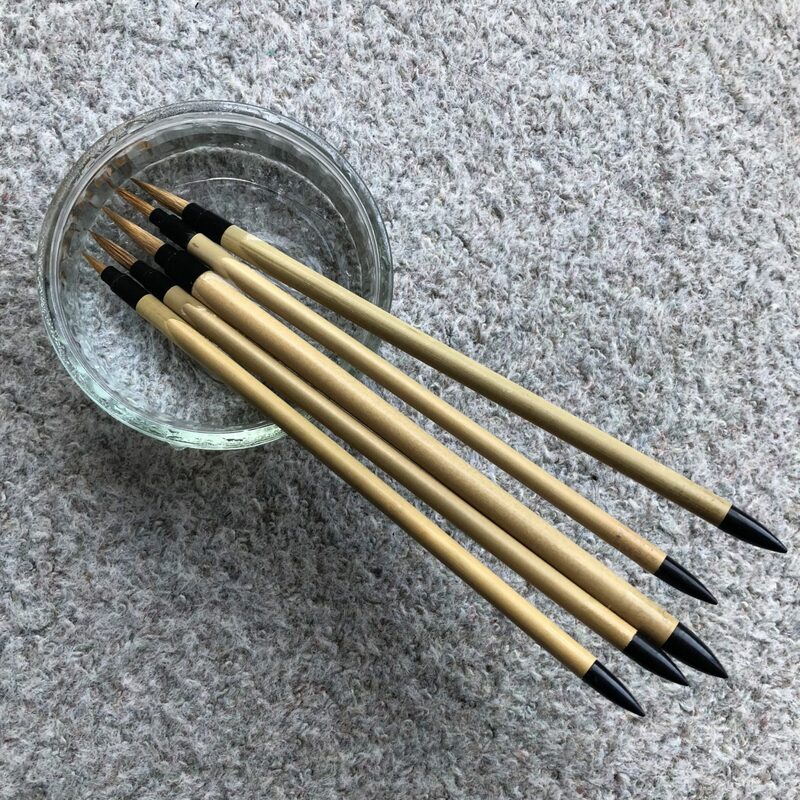 The 0903Ws brush is similar to #3 brush of this brush set. After several months testing, we feel the 0903Ws brush hair has higher quality. 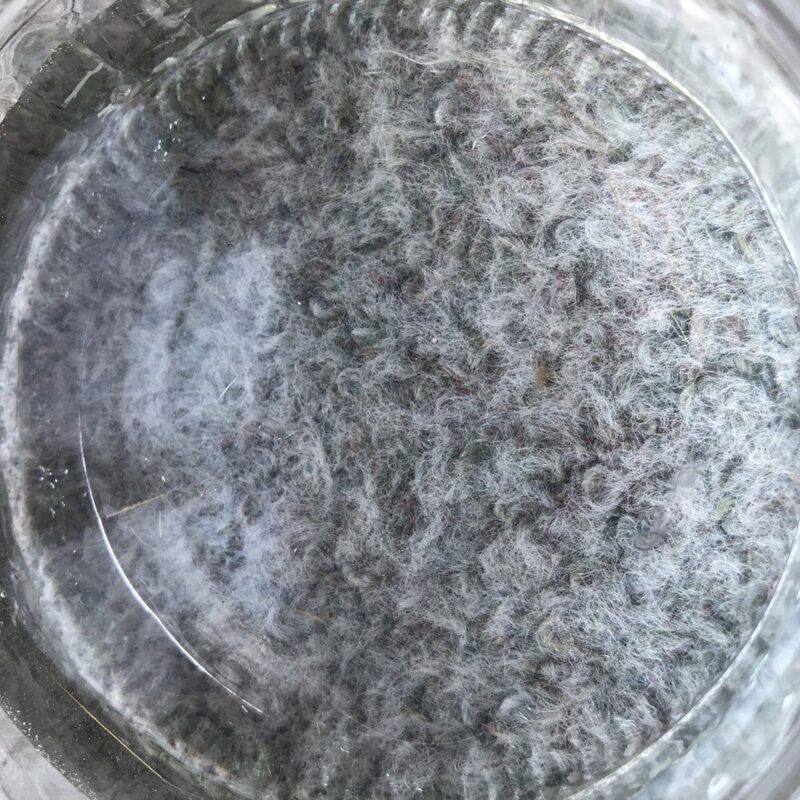 When rinsing off the starch from hair for first time, the 0903Ws brush lose almost 0 single hair at all. 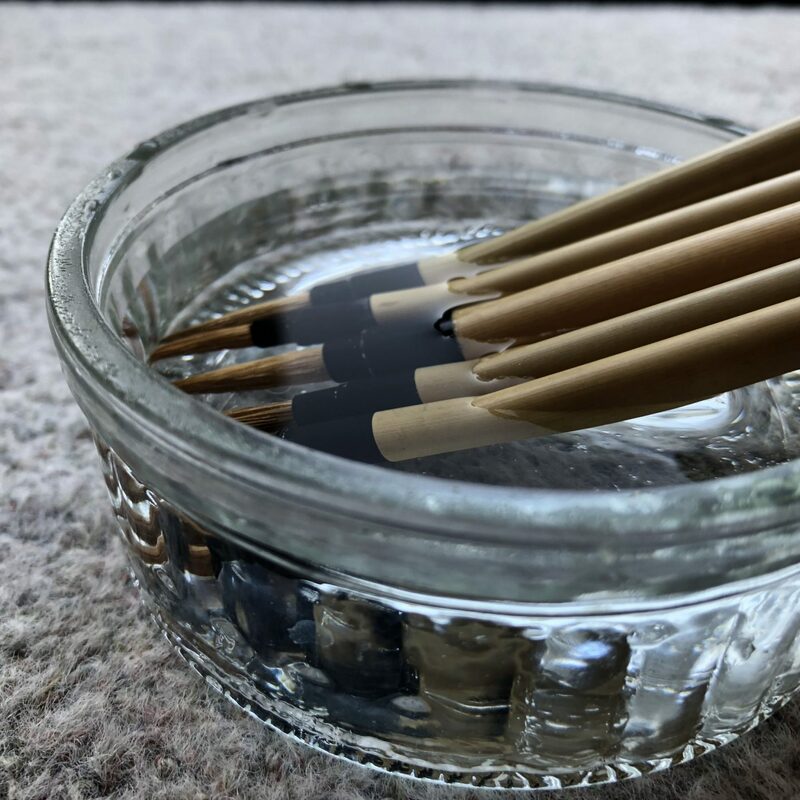 However, when we rinsing this Gongbi brush set, we can notice 2 to 5 hairs lost in water. 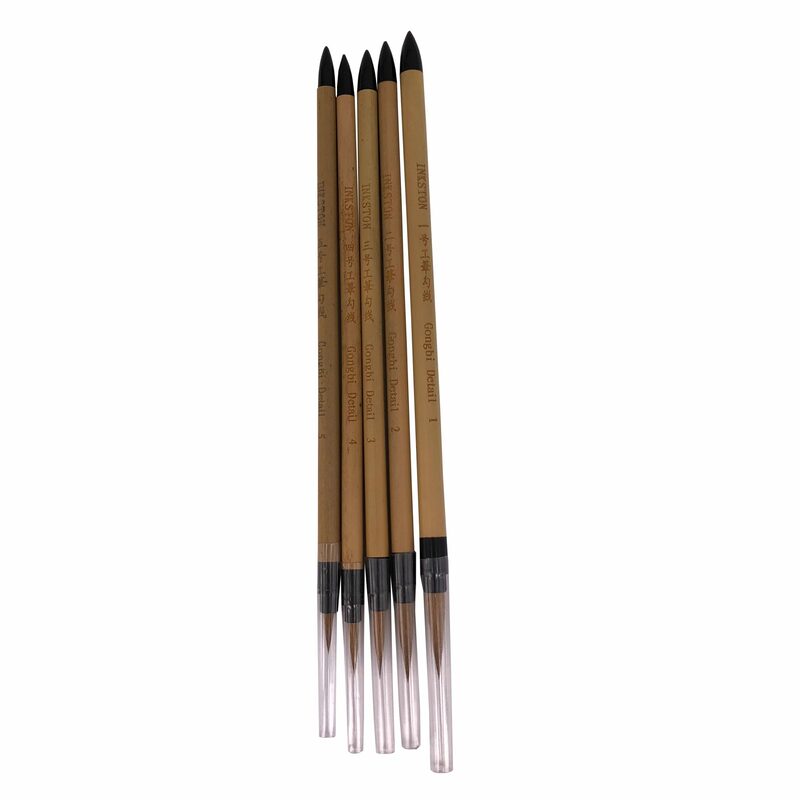 Nevertheless, losing 2 to 5 hairs is not considered as a quality problem for one set of 5 gongbi detailed brushes. Here are some photos about how to prepare this set of brush for the first time use.